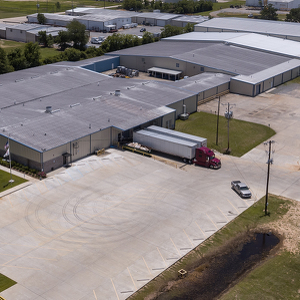 Lincoln Builders was selected by this client to design and construct the 52,000-square-foot addition to their very productive existing manufacturing facility without disrupting daily operations. Connected to the south wall of existing Plants 2 and 4 is a new 90’ x 217’ IBC/Pouch cleanroom which produces liners for food applications and dairy packaging. Along the south wall of the new cleanroom is a 130’ x 217’ laminator building which is initially being used for storage. Along the west side of the new construction is a connecting corridor.